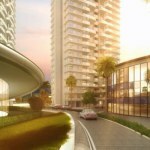 In Pune, something very new and exciting is happening on the residential real estate market. Where ordinary flats were once the most sought-after type of residential property, the trend is slowly but surely changing to a demand for township properties. The more discerning Punekars of today says that nothing less than the convenience and ambience of a township property will do. Who are these people? Mostly representatives of the IT and manufacturing sectors. These, along with some other discerning professionals, have apparently become fed up with the congestion of the inner city, and the lack of amenities in the projects there. 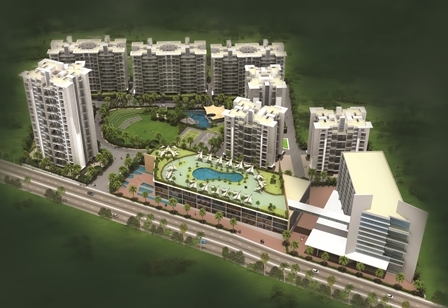 They are setting their sights on the spacious, green environment of areas beyond Aundh. Pimpri Chinchwad, with a special focus on the booming market in Pradhikaran properties, is especially in demand. What is it about these township properties in the PCMC area that makes them so different from other available ones on the Pune property market? 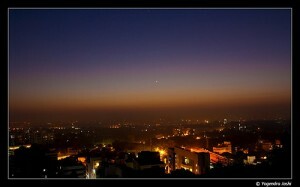 Well, one reason is that nothing within the suburbs of Pune can match the bliss of living in a township property. 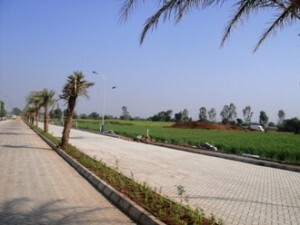 The mantra in these avant-garde resindetial projects in Pimpri Chinchwad is still ‘respect and enjoy Nature’. In the township properties in areas like Moshi and Ravet, green environment is carefully maintained and traffic congestion is unheard-of, despite the proximity of the Express Highway. The environment is absolutely perfect for families to live in. There is so much demand for these properties that many prominent developers have snapped up prime land exclusively for the building of township properties. 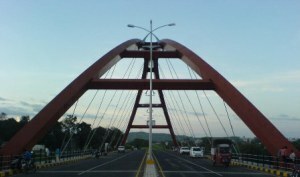 Other factors also add to the popularity of these townships – the Expressway, of course, is a vital one. The Expressway is the umbilical cord between Pune other major cities, beginning with Mumbai. In many ways, the Expressway is the lifeblood of Pune’s commercial progress. 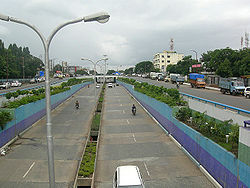 In addition, the nearby Mumbai-Bangalore Highway brings in further commercial growth and intercity connectivity. With the kind of investment value that localities along these two major highways get, their popularity comes as no surprise. 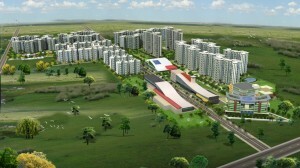 However, the Expressway has also brought about the existence of the Hinjewadi Infotech Park. The professionals that work there need homes close to their offices, and also privacy and peace in their time away from work. This has been another driving factor behind the township properties mania in the Pimpri-Chinchwad Municipal Corporation area. Obviously, another contributing factor is the Pimpri-Chinchwad industrial belt. In the not-so-distant past, township properties were a residential genre reserved exclusively for the ultra rich. This has changed drastically with their rising popularity. The fact is, owning a township property in Pimpri Chinchwad has now become a feasible option for Mr. Everyman. Anna Hazare and his fight against corruption were all over the news for the better part of the month. There was a lot of food for thought for everyone, including property market stakeholders. While there was no direct reference to the immense amounts of black money in real estate, Anna Hazare obviously addressed this aspect in his crusade, as well. In this context, it is pertinent to note a recent testimonial by a senior representative of a leading international property consultancy here in Pune. His statement was in response to a request for his views on the subject of corruption and black money in the Indian real estate sector. He pointed out that the subject of corruption in real estate is bound to crop up again and again, especially in light of the scams that rocked the news bulletins just a few months ago. However, he also correctly pointed out that stricter scrutiny for and measures against the movement of black money in the sector are already being enforced. Nevertheless, he stated, we are still in the early days of our battle against corruption in various business segments, and that it will take time to completely subdue its effects. Anna Hazare himself would not dispute this fact. The rot of corruption has set in over a number of years, and has therefore sunk rather deeply into it at various levels. To weed it out completely will take time, but the sanitation process can be accelerated with greater consumer awareness. After all, corruption in real estate is fed both at the supplier and consumer ends. Thankfully, this syndrome is already on the decline because of increasing awareness among Indian property buyers. The traditional viewpoint of black money driving Indian real estate is obsolete in many ways by now. In Pune, property buyers should be aware of the fact that many of today’s larger, reputed developers are already offering completely transparent deals. The prevalence of such developers is, in fact, higher in Pune than in neighbouring Mumbai. 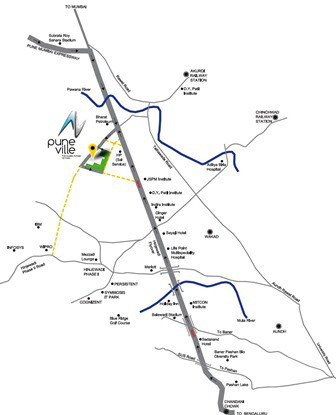 Pune property buyers have the option of patronizing such developers. The times when Pune property buyers were completely at the mercy of corrupt small-time developers are long over. Those looking for homes in Pune are no longer limited in their options. The more prominent developers in Pune have long since recognized the need for greater transparency in the system. After all, the largest component of Pune residential property buyers is made up by the salaried class, who do not have large cash reserves and often need 100% funding on home loans. However, there are also larger reasons why Pune real estate is becoming more transparent. 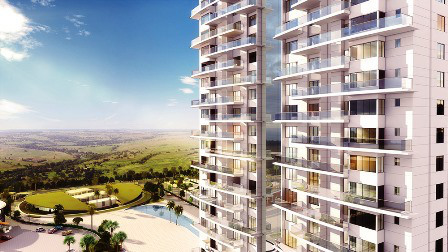 The Pune property market is a focal point for foreign investors who are attracted by the immense potential it presents. Residential developments around the Hinjewadi and Kharadi IT hubs as well as the integrated townships of Primpri-Chinchwad are drawing massive investments from from domestic and international investors. With the exposure to global funds, the sector has matured rapidly and transparency is becoming a norm. In addressing the issue of corruption in Indian real estate, it is important to note that there will always be supply where there is demand. A corrupt system holds illegal advantages for both the buyer and the seller. If more and more sellers are willing to offer clean deals, it is to be hoped that more and more buyers will opt for such deals. only then will we be truly on the way to a corruption-free real estate market. Pharande Spaces is a leading construction and development firm that develops township properties in the PCMC area of Pune, India. These days, I am often being asked about the vision for the industrial town. I believe the times in which we used to plan for the year ahead are over. We have chalked out our course of action for the next 20 years. After Mumbai became congested, people turned towards Navi Mumbai, which is now the centre of rapid infrastructural development. We look forward to Pimpri-Chinchwad as a similar option for Pune. We want to project Pimpri-Chinchwad as New Pune. Our first priority is development of roads. Roads are like arteries for a city. If arteries are healthy, the city remains healthy. We will be focusing on developing broadways, roads with better designs and better safety. We will also be amending development control rules for the city in the coming months. Let me give you am example of planning. We have chosen 12 important roads in the city. On these 12 roads, we will have entirely different sets of rules. These roads would be much wider, there would be much larger parking space and side space for buildings. Double the floor space index (FSI) would be allowed on these roads. These roadways would be the business hubs for the city. Efforts will also be made to improve the quality of the bus rapid transit system. 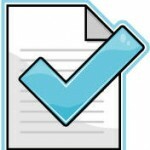 We are also doing a survey for Metro. It will have to be made sure that maximum number of people travel by public transport. PUNE: The Pimpri-Chinchwad municipal corporation has granted an additional floor space index (FSI) of 2.5 to the land reserved for the PMPML in the township. This FSI can be used either by the municipal corporation or a private developer for extra construction. To allow additional FSI, the municipal corporation will have to bring changes in its development control (DC) rules. As per the provisions of the Maharashtra Regional Town Planning Act, the municipal corporation has invited suggestions and objections from citizens for making changes in the DC rules. Citizens can send in their suggestions to the deputy director of town planning, PCMC, within next thirty days, a public notice issued by the PCMC has stated. The PCMC general body had in September approved a proposal to invite suggestions and objections from citizens regarding the proposal. The PCMC proposal states: “while developing the site reserved for bus stand, bus terminus, depot for PMPML on a public-private partnership basis or by the PMPML or by the PCMC itself, the maximum allowable FSI shall be 2.5. The bus-stand, terminus, depot may be allowed to be developed on a public-private partnership basis. The ground floor shall be used for bus-stand, terminus while the immediate upper three to four floors shall be developed for parking and the commercial use shall be allowed on the above floors”. Significantly, the proposal states that if the land is located in the BRTS zone, the premium and other rules which are especially applicable for BRT zone shall not be applicable to the bus-stand, terminus and depot reserved for the PMPML. The municipal corporation has proposed to levy premium for allowing additional FSI on private lands in BRTS zones. Earlier, the PMPML had requested the Pune and Pimpri Chinchwad municipal corporations to allow additional FSI on its sites so that it serves as a source of extra income for the beleaguered transport company. “The PMPML has stated that the sites for bus depots and terminals are at prime locations. This benefit can be exploited for commercial gains which would help the PMPML overcome its losses and make it financially independent,” the resolution approved by the PCMC has stated. The sites will be developed on a build-operate-transfer basis. A similar proposal is likely to be mooted by the Pune Municipal Corporation. The proposed parking facility will help people park their vehicles and travel by PMPML buses. 2.5 FSI For MHADA Redevelopment Projects In Pune & PCMC? NAGPUR: The state government will decide in a month’s time the issue of granting 2.5 floor space index (FSI) for Mhada colonies under redevelopment in Pune and Pimpri-Chinchwad Municipal Corporation (PMC and PCMC) areas, minister of state for urban development Bhaskar Jadhav assured the state assembly on Tuesday. 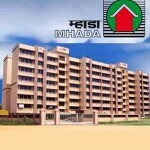 A favourable decision would mean creation of additional housing facilities by Mhada in Pune and Pimpri-Chinchwad. The issue has been in discussion for quite some time now. Jadhav was replying to a motion moved by MLA Bapu Pathare and others. Pathare pointed out that most cities in the state other than Pune and Pimpri-Chinchwad already have 2.5 FSI for the Mhada colonies. Pathare was joined by MLAs Girish Bapat, Madhuri Misal, Vinayak Nimhan, Ramesh Bagwe, Bala Bhegde and others in the 30-odd minute debate over the issue. They pointed out that the then chief minister Ashok Chavan had promised a decision on 2.5 FSI for Mhada colonies under redevelopment in Pune and Pimpri-Chinchwad. However, things have not progressed much. Responding to this, Jadhav said that the legal process like inviting suggestions and objections etc, towards granting 2.5 FSI to Mhada colonies has already been over and a report is pending clearance before the state government. He conceded that the decision got delayed due to political developments, in between. “We will settle the issue in a month’s time,” he assured. The members also demanded, among other things, a relaxation in the minimum 35-year construction norm for redevelopment of Mhada colonies, which, if granted, will benefit older colonies in areas such as Yerawada, Lokmanya Nagar and Wadgaon Sheri. They further sought additional FSI benefits for police colonies, other government colonies as well as residential settlements for the flood-affected people. To this, Jadhav said that extending the benefit to these colonies would involve an exercise like structural audit of buildings etc. “The government will take steps in this direction,” he said. 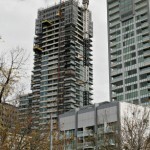 Posted on December 15, 2010 April 9, 2015 Author Anil PharandeCategories Pune PropertyTags Apartments, Buying Property, Property Market, flats in pune, Municipal Corporation, PCMC, Pimpri, Pimpri Chinchwad, Projects, Property Blogs, Real Estate News, Pune News, Pune Real Estate, Affordable Housing, Construction, NewsLeave a comment on 2.5 FSI For MHADA Redevelopment Projects In Pune & PCMC?